All motions passed by the Competition Committee are recommendations to the PVS Board of Directors. The meeting was called to order by Senior Swimming Chair, Jim Garner at 7:15 pm. Jim reviewed the process and subsequent award for the 2001 Spring Sectional meet to RMSC on March 15-18, 2001. Jim explained that this sectional meet was voted at the Zone meeting in May to be a closed Sectional (not open to any LSC outside the Region). A handout with specific meet information as available is attached. Jim further explained the 5 LSC's in Eastern Zone Region 2 are Potomac Valley, Maryland ,Virginia, Allegheny Mountain and Middle Atlantic. 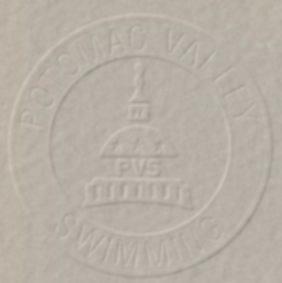 Basic decisions concerning the meet format was made at the Eastern Zone meeting on May 13 and have been posted to the PVS website. The 5 SR Swimming Chairs along with the meet director will propose the necessary refinements to the meet format and can propose changes if they feel it is warranted.. The revised format and the cuts developed will be reviewed by the 5 SR Swimming Chairs and the 5 General Chairs. This will then be forward to the Eastern Zone Director, Dave Carson for final approval. No time schedule has been established for completing this process. There was discussion over the concern of the Pennsylvania teams/LSCs participating based on their High School swimming schedule. It was explained that the LSC's chose this date at the May Zone meeting to accommodate the PA HS schedule. Thirl indicated that coming out of the recent General Chair's meeting that both Allegheny Mountain and Middle Atlantic indicated their support of the meet. Concern over the size of the meet and the time line was discussed. Greg raised concern over a notion that the PVS SR Champs meet would go away and be absorbed by the JR Champs meet. Further concern was raised by Greg regarding the High School Swimming schedule and if all those dates were set in stone. Discussion followed and the consensus was the ramifications of making such a request would make it difficult to grant, particularly for the 2000-01 HS season. Kit raised the issue of the down time between meets, specifically from the end of SR Champs as it is currently on the schedule and the start of Sectionals. Discussion followed and Victor suggested looking at moving SR Champs to the last weekend in January before all the High School Championships occur. Further discussion followed and Mark made the following omnibus motion. AG Champs moves to March 8-11 and include the 13-14 age group. Further lengthy discussion occurred. Concerns were raised over the number of heats; that raising the upper Jr champ cut would have on both the athletes; and the session length were raised. Concerns were also raised that the age limitation of 13 & over for the Jr Champs meet meant the faster 12 y/o swimmers would not be able to attend nor would they have access to the 200 yard and distance events. Discussion continued over the size of these meets and the ramifications of these changes on the athletes, in particular those who now final at Juniors and participate at in relays at that meet. Mark withdrew his motion with the consent of the body and then moved his withdrawn motion as three separate motions. While not part of the motion, it is anticipated the NST cuts will also be adjusted so the size of meet will remain similar to what it was in 2000. It was agreed that the incoming Age Group Chairman should take the lead in developing a more detailed meet format. Jim Garner reminded the body these recommendations would be taken to the PVS BoD for approval at the next meeting scheduled for Tuesday, June 20th @ 7pm at Walt Whitman High School. The complete PVS SCY 2000/01 schedule would be published subsequent to approval by the BoD. By consensus, it was agreed the Fall Competition Committee Meeting would be scheduled for Tuesday September 26th at 7:00pm, Location to be determined.